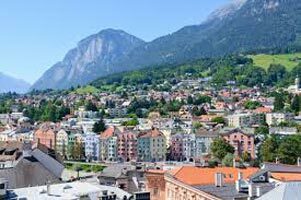 Innsbruck, a city in the European Alps offering a combination of culture, history and nature unequalled anywhere else. On arrival check into the hotel. Day is at leisure to explore the city on your own. Later, enjoy a typical Tyrolean evening with an attractive program which includes authentic folk music. Listen to the Tyrolean songs and yodelling, and watch the dancers stomp, clap and strike the soles of their shoe to the music. You will never forget this evening with an authentic entertainment and original costumes. Don't keep your hands and feet still and dance to the music! Today, visit the Swarovski Crystal World in Wattens. Explore the fantastic and sparkling world of Swarovski. The water spouting Giant will amaze you with his sparkling eyes! Inside the Giant, a whole crystal world awaits you - the Chambers of Wonders containing the Planet of Crystals, the Crystal Dome, the Crystal Theatre, the Ice Passage and the Floating Poem. 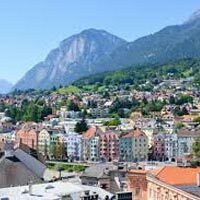 Today, depart for a half day excursion to Nordkette Mountain, located just north of the city of Innsbruck in Austria. The breathtaking 360° view leaves a lasting impression, with the capital of the Alps on one side and Tyrol’s most extensive conservation area on the other.